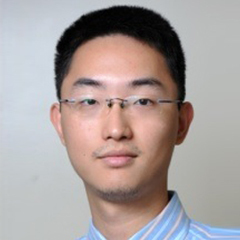 Dr. Liao is an assistant professor at the Department of Petroleum Engineering. Before joining KFUPM, he was a postdoctoral researcher in Stanford University and Peking University from 2015 to 2017. Ph.D., Petroleum Engineering, University of Southern California, USA, 2014. B.Sc., Mechanical Engineering, Peking University, China, 2009. Liao*, D. Zhang, and H. Tchelepi (2017), Nested sparse grid collocation method with delay and transformation for subsurface flow and transport problems. Advances in Water Resources, 104, 158–173. Liao*, D. Zhang, and H. Tchelepi (2017). A two-stage adaptive stochastic collocation method on nested sparse grids for multiphase flow in randomly heterogeneous porous media. Journal of Computational Physics, 30, 828–845. Chang, Q. Liao, and D. Zhang* (2017). Surrogate model based iterative ensemble smoother for subsurface flow data assimilation. Advances in water recourses, 100, 96–108. Liao, and D. Zhang* (2016). Probabilistic collocation method for strongly nonlinear problems: 3. Transform by time. Water Resources Research, 52(3), 2366–2375. Liao, and D. Zhang* (2015). Constrained probabilistic collocation method for uncertainty quantification of geophysical models. Computational Geosciences, 19(2), 1–16. Liao, and D. Zhang* (2015). Data assimilation for strongly nonlinear problems by transformed ensemble Kalman filter. SPE Journal, 20(1), 202–221, SPE-173893-PA.
H. Chang, Q. Liao, and D. Zhang* (2015). Benchmark problems for subsurface flow uncertainty quantification. Journal of Hydrology, 531, 168–186.